The Federal Bureau of Investigation (FBI) and the Central Intelligence Agency (CIA) are the two agencies of the U.S federal government, which deal with the security, intelligence and law enforcement. These two agencies of the American government have specific areas of operation. Though the Federal Bureau of Investigation and the Central Intelligence Agency have many differences, the two agencies cooperate and share information to a great extent. While the Central Intelligence Agency deals with international issues, the Federal Investigation Bureau deals with domestic issues. 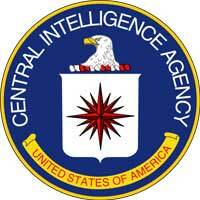 The CIA is an agency that gathers information internationally that are relevant to the U.S national security. The Central Intelligence Agency evaluates the information collected internationally and may take actions if they consider that the security of the country is at stake. The CIA has its central offices in Virginia, and operates through the various CIA agents across the world. The CIA agents may also cooperate with intelligence agencies of other countries. 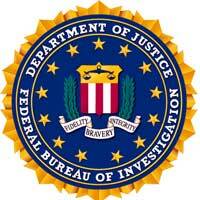 The Federal Bureau of Investigation is the premier domestic law enforcement agency in the United States. The FBI mainly deals with domestic intelligence and they work for stopping any threats arising within the country.Â It protects and defends the US against terrorist and foreign intelligence threats. The FBI also helps the local police in handling major cases occurring in the country. It handles all major crimes including murders, interstate crimes and kidnapping. If the CIA wants any information related to any person within America, the FBI officials gather relevant information. In this case,Â CIA does not directly involve in the investigation. The CIA does not have any jurisdiction over activities that happen within the United States, but the FBI do. When compared to the CIA, the FBI has a wider range of responsibilities. Apart from handling domestic intelligence, the FBI also has offices overseas which helps in gathering information. Despite the difference between the Federal Bureau of Investigation and the Central Intelligence Agency, the two agencies are known to work together for the good of the country and the people. Prabhat S. "Difference Between FBI and CIA." DifferenceBetween.net. July 28, 2011 < http://www.differencebetween.net/miscellaneous/difference-between-fbi-and-cia/ >. This is so unbelievably inaccurate. The FBI has 60 international offices, and were abroad long before the CIA. The difference is the the FBI investigates and the CIA gathers intelligence.